Nothing encourages healthy exercise better than a well-appointed community playground. 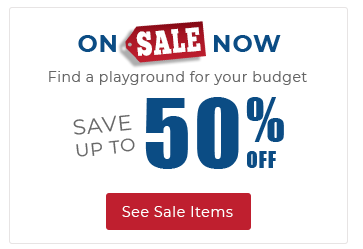 The Power Play commercial playground structure is packed with seven unique activities to entertain up to 25 children ages 2-12 years in healthy outdoor fun! At their age anything that makes noise is a good thing. Thats why this playground structure includes a Whistle at ground level for kids to enjoy. 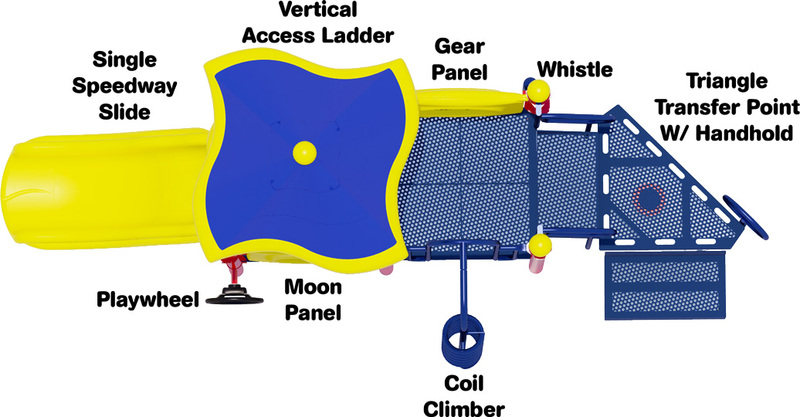 The Gear Panel allows children to explore the dynamic of mechanics in a fun and educational way, and the Moon Cycle Panel helps them understand the wonderment of the natural world. 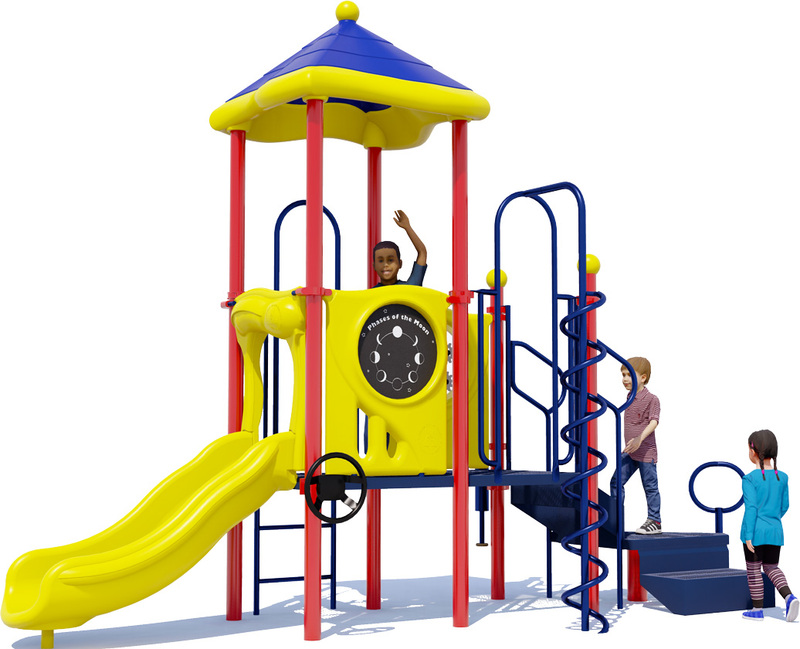 Kids love the adventure of the Coil Climber and the Vertical Access Ladder which offer alternative ways to scale the structure and access the slide. Upright posts, hardware, clamps, and post caps are backed by lifetime limited warranty. Metal pipes, rungs, loops, are backed by a 50-year limited warranty. Punched steel decks, high-density polyethylene (HDPE) panels, and rotationally molded plastic components backed by 15-year limited warranty. 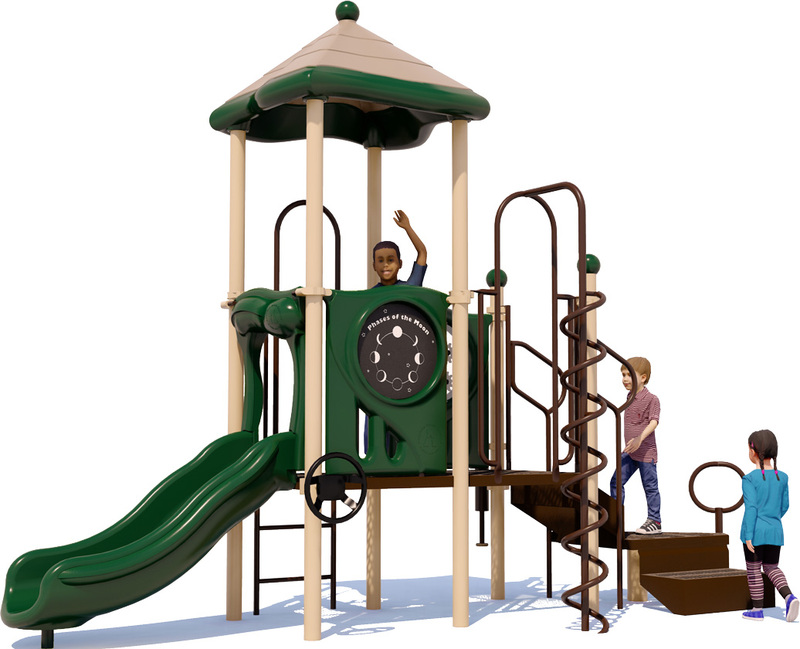 American Parks Company is a recognized natural brand leader in quality commercial playground structures for schools, daycares, churches, and multifamily communities. 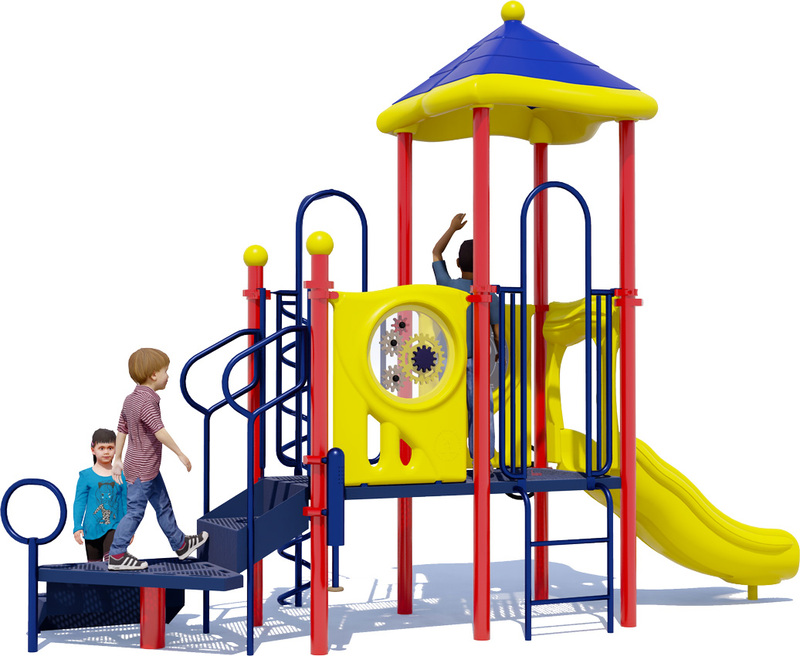 We also provide convenient playground bundles including surfacing, shipment, and installation to help you quickly source your complete playground needs. 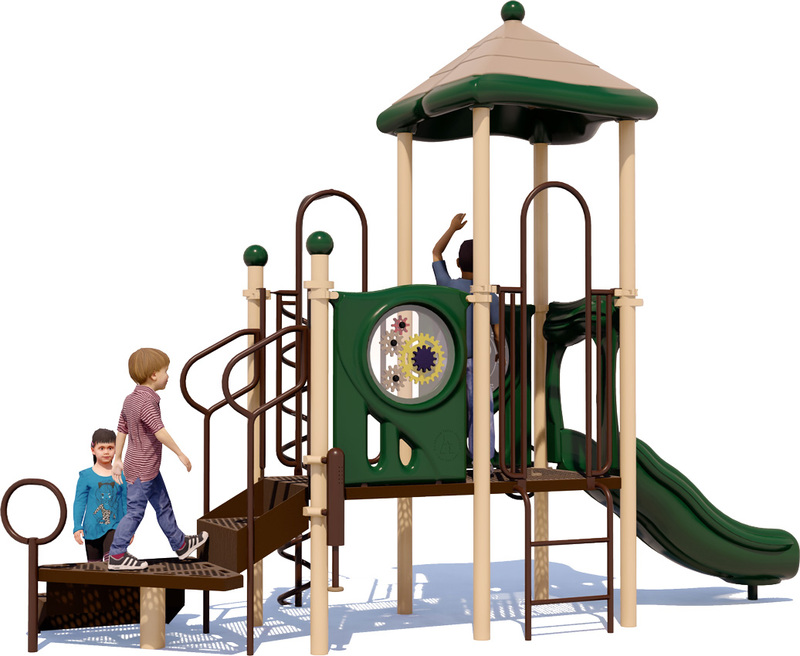 1 Slide, 1 Roof, 1 Coil Climber, And More!